The links below are affiliate links an I will earn a small commission if you make a purchase after clicking on them. Thanks for supporting Bargain Boutique Deals! Groupon is offering Turkey Hill Experience admission for $7 – $1.05 with promo code SAVE = just $5.95 (Reg $10.50)! Promotional value expires Jun 30, 2019. Amount paid never expires. Limit 10 per person, may buy 10 additional as gift(s). Valid only for option purchased. Merchant is solely responsible to purchasers for the care and quality of the advertised goods and services. 3 and under is FREE. *HOT! * Groupon – Shark Navigator Professional Lift-Away Upright Vacuum (Manufacturer Refurbished) just $64.99 + FREE Shipping! *HOT! * Groupon/LivingSocial – Adventurer Family Membership (4 ppl) at Maryland Science Center just $75 (50% Off)!! It’s that time of year again! Snag an Adventurer Family Membership at the Maryland Science Center for just $75 (50% Off) on Groupon! If you just want to add another person or 2, I believe you can do so at the Science Center for $25 per person. Promotional value expires Feb 28, 2019. Valid only for option purchased. Limit 4 vouchers per person for daily admission. Limit 1 voucher per person for adventurer annual family membership for four. Voucher must be redeemed at the Maryland Science Center by February 28, 2019. Each voucher is good for one four-person membership, or two people / depending on option purchased. Cannot be combined with any other offer or promotion. Not valid with voucher promo codes. Refundable only on day of purchase. Merchant is solely responsible to purchasers for the care and quality of the advertised goods and services. Offer is not eligible for our promo codes or other discounts. UPDATE: Code HARVEST is now expired, use promo code FALL20 instead! Head on over to Groupon where they are offering 20% off select items with promo code FALL20 at checkout. They are currently offering $35 for Three-Hour Indoor Climbing Session for Two at ClimbZone White Marsh ($50 Value) but use promo code FALL20 and the price drops to just $28 for TWO Climbers!! Sweet deal as it’s usually $25 per person for ages 5 and up! Climbers as young as 2 can have fun at Climbzone! They also have some inflatables and a small play area for toddlers. Lots more fun options – CLICK HERE to browse Groupon! The coupon can be used for up to 3 transactions. You can ALSO head over to LivingSocial to score this same deal with promo code FALL20 at checkout if you need more admissions vouchers! Airbound Trampoline Center 25% Off (Two, Four, or Six 60-Minute Jump Passes) + additional 25% off with code FALL20 at checkout! This makes 2 passes just $14.40, 4 passes just $27.20 and 6 passes just $36! 4 passes would be just $35.20, 6 passes just $49.20! Bubala Indoor Playground – additional 25% off with code FALL20 at checkout! Passes for 2 just $23.20 after code FALL20 ! Passes for 4 just $43.20 after code FALL20 ! Passes for 6 just $60 after code FALL20 ! *HOT! * Groupon – Save 25% Off Local Deals! Baltimore Readers- Admission for 2 at Climbzone just $26.25!! PLUS MORE! Head on over to Groupon where they are offering 25% off select items with promo code SAVE25 at checkout. They are currently offering $35 for Three-Hour Indoor Climbing Session for Two at ClimbZone White Marsh ($50 Value) but use promo code SAVE25 and the price drops to just $26.25 for TWO Climbers!! Sweet deal as it’s usually $25 per person for ages 5 and up! Climbers as young as 2 can have fun at Climbzone! They also have some inflatables and a small play area for toddlers. You can ALSO head over to LivingSocial to score this same deal with promo code FF25 at checkout if you need more admissions vouchers! Airbound Trampoline Center 25% Off (Two, Four, or Six 60-Minute Jump Passes) + additional 25% off with code SAVE25 at checkout! This makes 2 passes just $13.50, 4 passes just $25.50 and 6 passes just $33.75! 4 passes would be just $33, 6 passes just $46.12! Bubala Indoor Playground – additional 25% off with code SAVE25 at checkout! *HOT! * Groupon – 20% Off Local Deals = 2 Admissions to Climbzone White Marsh for just $28 (Reg $50)!! CHOL HAMOADE IDEA! Head on over to Groupon where they are offering 20% off select items with promo code SUPER20 at checkout. They are currently offering $35 for Three-Hour Indoor Climbing Session for Two at ClimbZone White Marsh ($50 Value) but use promo code SUPER20 and the price drops to just $28 for TWO Climbers!! Sweet deal as it’s usually $25 per person for ages 5 and up! Climbers as young as 2 can have fun at Climbzone! They also have some inflatables and a small play area for toddlers. You can ALSO head over to LivingSocial to score this same deal with promo code BEST20 at checkout if you need more admissions vouchers! *HOT! * Groupon – Painting Experiences at Muse Paintbar (Up to 56% Off). Six Options Available + EXTRA 20% Off! For example, a Painting Experience for 2 People Sunday-Thursday is $37 – 20% with promo code TREAT = just $29.60, or just $15 per person! The sessions are usually $29- $35 per person so that’s a really nice savings! Or choose the Painting Experience for 4 People Sunday-Thursday for $69 – 20% with promo code TREAT = just $55.20, or just $13.80 per person! Promotional value expires 90 days after purchase. Amount paid never expires. Online registration required. Can kids come to public events? Of course! We sell beer and wine, but we only card when people buy alcohol. Kids come with their parents, grandparents, etc, all the time and they have a blast. If you want more information about our kids’ parties, check out our kids’ party page. Groupon is offering an EXTRA 20% Off today with promo code JULY20 at checkout! Use this opportunity to snag some great deals on summer activities!! You can use the code 3 times (limit once per transaction). The promo code does NOT work on everything!! If it’s not valid, you will get a message at checkout that the offer does not qualify for the promo code. CLICK HERE to shop Groupon! Use code JULY20 for an additional 20% off your purchase! GREAT for teens!! Loads of video games and Virtual Reality games! Located right off Old Court Rd! I bought this All-Day Gaming Package for Two, Four, or Six at Dave & Buster’s – White Marsh (Up to 76% Off) on Groupon and used it on Chol Hamoade Pesach – I brought 6 kids ages 6-16 and they all had SO MUCH FUN! You get unlimited play on LOADS of video games (skiing games, shooting games, ride-on games, racing games, etc), for basketball, multiple kinds of air hockey, simulators, etc!! It also comes with 30 gaming points for the ticket-earning games! We went on a Wednesday when ticket-earning games are half price for even sweeter savings and more game fun! Use promo code JULY20 for additional 20% off savings! With the All-Day Simulator Power Card, players can choose from single and multi-player games, including 3-D, simulator, sports, and rides. Click Here to get your Groupon now for the White Marsh location! Click Here to get your Groupon now for the Hanover (Arundel Mills) location! Use promo code JULY20 for an additional 20% off your purchase!! Use promo code JULY20 for an additional 20% off! I took my kids to this place at the beginning of the summer – so much fun! The safari is the highlight, but they have a cute zoo where you can get up close and feed the animals (we bought a cup of carrots for $5 and all the kids had fun feeding the giraffes!)! Located a little over an hour away in Northern VA.
Go-Kart Racing and Rounds of Mini Golf at The Go-Kart Track (Up to 50% Off). 4 Options Available. Save an additional 20% off with promo code JULY20 at checkout! I took my kids last summer – absolutely stunning! Some of the butterflies landed on them! And the gardens are gorgeous as well. Right next to Wheaton Park so you can make a whole day out of it! Plus LOTS MORE!! Click Here to explore Groupon and snag some awesome deals for summertime fun! You can also snag deals at LivingSocial.com for 25% off with promo code SAVE25 at checkout. LivingSocial is owned by the same company as Groupon so if you have a large family/group you can find the same deals on both sites and get enough vouchers for all your trips!! Whoohoo! You can use the Groupon code SUN25 3 times (3 transactions) and the LivingSocial code SAVE25 5 times (5 transactions) ! Groupon is offering an EXTRA 25% Off today with promo code SUN25 at checkout! Use this opportunity to snag some great deals on summer activities!! You can use the code 3 times (limit once per transaction). The promo code does NOT work on everything!! If it’s not valid, you will get a message at checkout that the offer does not qualify for the promo code. *NEW* Aqua Park and Aerial Park Admission for One, Two, or Four at Dutch Springs (Up to 34% Off)This looks SO COOL!! I bought for my family to use one day this summer! Use promo code SUN25 for an additional 25% off! This place is located approx. 2.5 hours from Baltimore in Bethlehem, PA – make a long day out of it!! Everyone must wear a life-jacket in the water so younger kids can participate as well. Under age 5 is FREE! Includes the aqua park & aerial park. Click Here to see pics of everything on the website! Today you can also use promo code SUNE25 for additional 25% off savings! Use promo code SUN25 for an additional 25% off your purchase!! I took my kids to this place years ago, they LOVED it! The safari ride is awesome! There is a small zoo as well where you can get up close and feed the animals (animal food is additional $). Located a little over an hour away in Northern VA.
Save an additional 25% off with promo code SUN25 at checkout! Save an additional 25% off your purchase with promo code SUN25 at checkout! *SUPER HOT! * Groupon (Baltimore) – Save an EXTRA 25% Off Local Activities & MORE! Dave & Busters, Bubala, Roer’s Zoofari, Stratosphere, Go-Kart Racing, Mini Golf, plus TONS MORE!! REMINDER: Groupon – One-Year Costco Gold Star Membership with $20 Costco Cash Card and Exclusive Coupons for $60! Did you grab your membership yet?! Groupon is offering a One-Year Costco Gold Star Membership with $20 Costco Cash Card and Exclusive Coupons for $60! After the $20 gift card, it’s like paying $40 for membership + FREE items! Valid for new members only. For this new membership offer, an existing Costco member must be expired prior to February 1, 2018 to qualify. Promotional value expires Sep 30, 2018. Amount paid never expires. BALTIMORE READERS: The Costco in Owings Mills is slated to open this August 2018 – perfect timing for you to pick up discounted membership now! A One-Year Costco Gold Star Membership, which includes: a membership card for the Primary Cardholder and one free Household Card for anyone over the age of 18 and living at the same address. Groupon – One-Year Costco Gold Star Membership with $20 Costco Cash Card and Exclusive Coupons for $60! Groupon is offering a One-Year Costco Gold Star Membership with $20 Costco Cash Card and Exclusive Coupons for $60! After the $20 gift card, it’s like paying $40 for membership! *HOT! * Groupon – All-Day Gaming Package for Two, Four, or Six at Dave & Buster’s – White Marsh or Hanover Locations (Up to 76% Off) + Additional 20% Off Code! So much FUN! I bought this All-Day Gaming Package for Two, Four, or Six at Dave & Buster’s – White Marsh (Up to 76% Off) on Groupon a few weeks ago and used it on Chol Hamoade Pesach – I brought 6 kids ages 6-16 and they all had SO MUCH FUN! You get unlimited play on LOADS of video games (skiing games, shooting games, ride-on games, racing games, etc), for basketball, multiple kinds of air hockey, simulators, etc!! It also comes with 30 gaming points for the ticket-earning games! We went on a Wednesday when ticket-earning games are half price for even sweeter savings and more game fun! REMINDER: *HOT! * Groupon – Chol Hamoade Trip Ideas! Airbound Trampoline Center, Dave & Busters, AMF Bowling, Port Discovery, Bubula Indoor Playground, Rockin’ Jump + ADDITIONAL 20% Off! Here’s a few great Chol Hamoade trip options on Groupon for Baltimore area readers!! All-Day Gaming Package for Two, Four, or Six at Dave & Buster’s – White Marsh (Up to 76% Off)! Use promo code SALE3 for an additional 20% off!! Promotional value expires 120 days after purchase. Amount paid never expires. Limit 4 per person, may buy 4 additional as gifts. Limit 1 per visit. All goods or services must be used by the same person. Valid only at White Marsh location. Must use promotional value in 1 visit. Age restrictions may apply. Not valid with any other offers, including the Eat and Play Combo. Not valid with special events packages. Use promo code SALE3 for an additional 20% off your purchase!! Promotional value expires 120 days after purchase. Amount paid never expires. May be repurchased every 30 days. Limit 2 per person, may buy 2 additional as gifts. Valid only for option purchased. Signed waiver, socks and parent supervision required. Must call 48 hours in advance for birthday reservation. Birthday parties are valid Monday–Friday. Valid for children 7 and under. Merchant is solely responsible to purchasers for the care and quality of the advertised goods and services. Promotional value expires Jun 8, 2018. Amount paid never expires. Final Sale once voucher has been viewed. Limit 2 per person, may buy 2 additional as gifts. Limit 1 voucher per 2-, 4-, or 6-person group per visit. Not valid until 24 hours after purchase. Advanced reservations not available; subject to availability. Call your AMF location in advance to confirm availability. Not valid Saturdays after 6 p.m. Not valid for contracted group events, birthdays, leagues or tournaments. Cannot be combined with other AMF offers. Must use promotional value in 1 visit. Voucher is valid for one lane per 2-, 4-, or 6-person group. Use code SALE3 for an additional 20% off your purchase! Promotional value expires 90 days after purchase. Amount paid never expires. Must sign waiver. Younger than 18 must have guardian-signed waiver. Limit 1 per person, may buy 2 additional as gifts. Limit 1 per visit. Valid only for option purchased. Valid only at Towson location. For Jump passes, walk-in customers only. Jump passes must be used in 1 visit. Rockin’ socks required and are available for $2 per pair. *HOT! * Groupon – Chol Hamoade Trip Ideas! Airbound Trampoline Center, Dave & Busters, AMF Bowling, Port Discovery, Bubula Indoor Playground, Rockin’ Jump + ADDITIONAL 20% Off! *HOT! * Groupon (Baltimore Area) – All-Day Gaming Package to Dave & Buster’s White Marsh for 2, 4 or 6 People! Open Play for Two or Four at Bubala Indoor Playground (Up to 44% Off) ! Plus EXTRA 20% Off With Code!! Here’s 2 more great Chol Hamoade trip options on Groupon for Baltimore area readers!! Use promo code EXTRA20 for an additional 20% off!! Use promo code EXTRA20 for an additional 20% off your purchase!! *HOT! * Groupon – Bowling and Shoe Rental for Two, Four, or Six at AMF Bowling Co. (Up to 70% Off)! Less than $10 per person! Chol Hamoade Idea! Great idea for chol hamoade! Since we’re 8 ppl, I will buy 2 groupons (one from 6 ppl , one for 2 ppl). They may make us divide up into 2 lanes, but everyone can bowl! Groupon is offering Bowling and Shoe Rental for Two, Four, or Six at AMF Bowling Co. (Up to 70% Off)! Comes out to less than $10 per person for 2 hours of bowling including the shoes! *HOT! 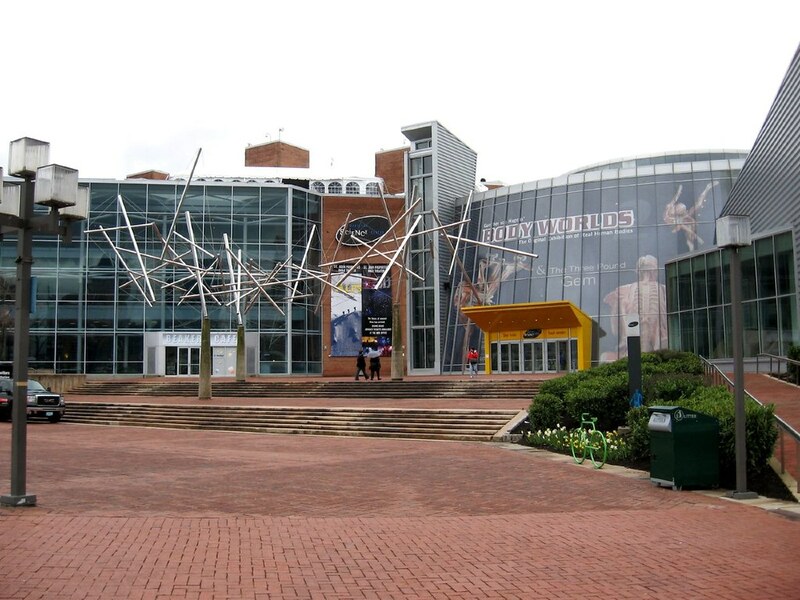 * Groupon – 25% Off Things To Do = Maryland Science Center Membership for 4 just $56.25!! Nice Discounts on Ripley’s Believe It or Not! and Skyzone in Timonium! Groupon is offering 25% off massages, things to do, restaurants and MORE! Use promo code WOW25 at checkout. Applies to 1 deal per transaction and you can use it for up to 3 transactions. Exclusions apply. For example, you can score One Adult or Child 3-Way Combo Ticket with a Free Round in Smash Dash at Ripley’s Believe It or Not! (35% Off)! An adult ticket is $19.49 – 25% off with WOW25 = just $14.62! A child ticket is $14.29 – 25% off with WOW25 = just $10.72! One Adventurer Annual Family Membership for Four People – Maryland Science Center for $75 – 25% with code WOW25 = just $56.25! Promotional value expires Feb 28, 2018. *HOT! * Groupon – One Adventurer Family Membership at Maryland Science Center just $60 after 20% Off Code! TODAY ONLY! This post contains affiliate links and I will be compensated if you make a purchase after clicking on my links. Thank you for supporting Bargain Boutique Deals! The Maryland Science Center is once again offering discounted membership on Groupon! Enjoy One Adventure Family Membership for just $75 (reg $150)! Save 50% off the price! TODAY ONLY – Use promo code SANTA for an additional 20% off ($15) = just $60!! One Adventurer Annual Family Membership for Four People (each additional 2 members has been, in the past, an extra $25 for both to add on to the membership. Please double check if the pricing is still accurate). Voucher must be redeemed at the Maryland Science Center by February 28, 2018. Cannot be combined with any other offer or promotion. Not valid with Groupon promo codes. *HOT! * Groupon – One Adventurer Family Membership at Maryland Science Center just $75 (reg $150) – Save 50%!! One Adventurer Annual Family Membership for Four People (each additional 2 members has been, in the past, an extra $25 for both to add on to the membership. Please double check if the pricing is still accurate). Voucher must be redeemed at the Maryland Science Center by February 28., 2018. Cannot be combined with any other offer or promotion. Not valid with Groupon promo codes.